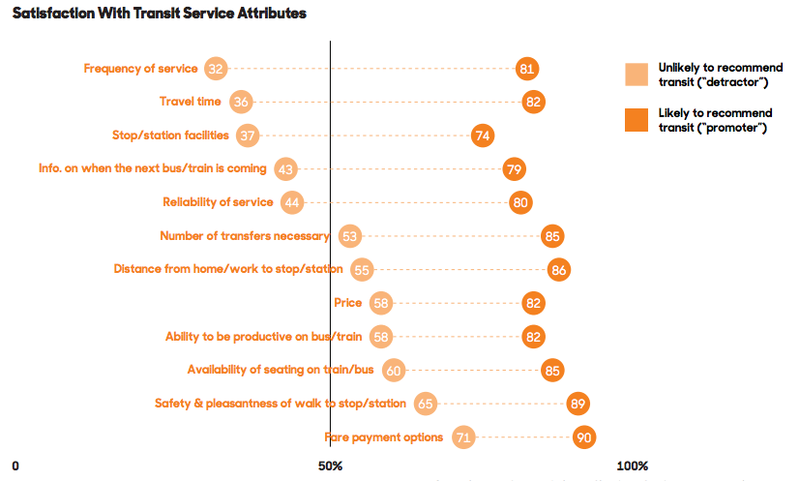 Today TransitCenter released it's latest research report. The research is based on talking to Americans who use transit. It finds that attention to basics -- service quality and frequency, and good walking conditions around transit stops -- are the keys to high and increasing ridership. 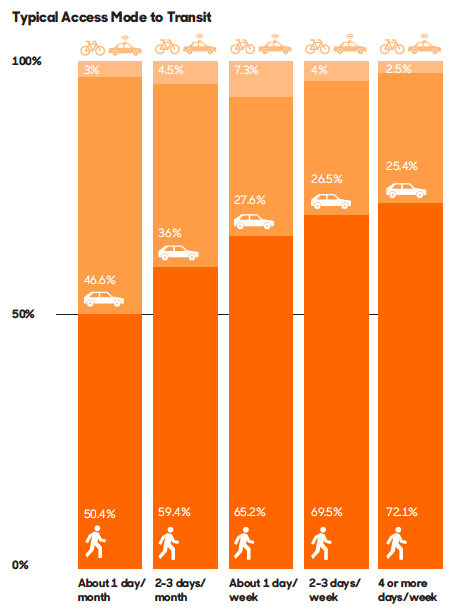 It explodes the myth that people who do not own cars are "captive" to low quality transit service. 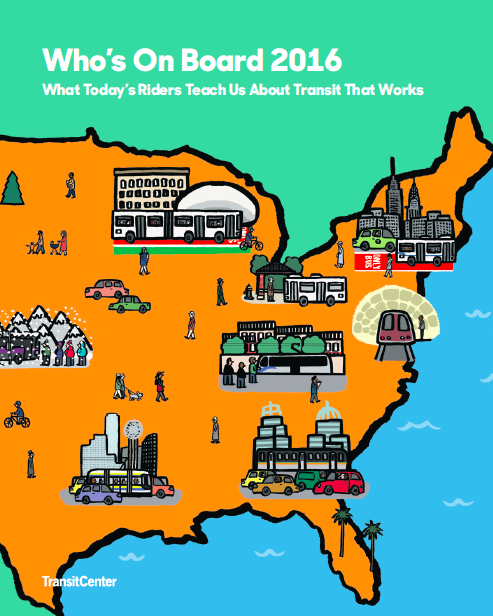 That’s the main conclusion of “Who’s On Board 2016: What Today’s Riders Teach Us About Transit That Works,” the latest edition in TransitCenter’s Who’s On Board series of national transit rider opinion studies released today. Drawing on results from three focus groups and a survey of 3,000 people in 17 metropolitan areas across the country, Who’s On Board offers several core findings to inform how government agencies and elected officials approach transportation, land use, and development policy.